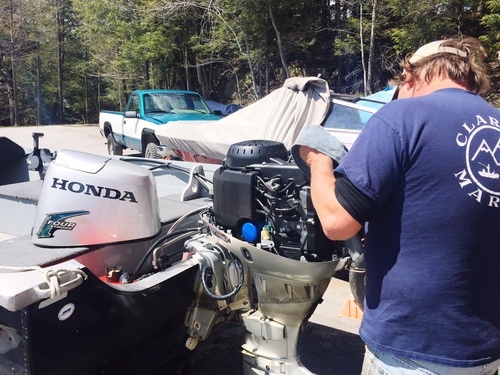 Clark's Marina has been serving the Adirondacks for over 60 years since it's first owners Harry and Madeline Clark opened for business in the late 1940's. As a family owned small business, your experience will be intimate and personalized. Staffed with a humble 10 employees and one golden retriever named Charlie, you are guaranteed a familiar face every time you stop in. Our mission is to provide an affordable, fair, and memorable service to our loyal customers while sharing our love for the Adirondacks. We still believe in hard work and getting our hands dirty- in going the extra mile. Welcome, we are glad you stopped by! Please state which days you would like to rent the boat for and what lake you will be on. Leave a phone number and we will call you as soon as possible with availability and final prices. Thank you! Someone on the Clark's team will be contacting you soon. You must be 21 years old to rent a motor boat. All safety equipment included. Gasoline and oil NOT included in rental fee. All prices are subject to 8% Sales Tax. Reservation is confirmed upon receipt of 1/2 down rental fee deposit. Deposit is non-refundable. Boat will only be held until 12:00pm, unless pre-paid in full. In the event of extreme weather conditions, a rain check will be issued that expires after one year. NO REFUNDS for unused time. We reserve the right to refuse to rent to anyone at any time. Rates and availability subject to change without notice. Rentals to lakes other than the Fulton Chain can be arranged and carry a minimum of a 4 day rental. Please indicate how many snowmobiles, which type of snowmobiles, and for how long you would like to rent them here. 10% off rentals for three consecutive days or longer. 20% off rentals five consecutive days or longer. Helmets included with rental. Gasoline and oil NOT included with rental fee. All prices are subject to a 8% sales tax. Reservation is confirmed upon receipt of 1/2 down rental fee deposit. Deposit is non-refundable. In the event of unridable weather, a rain check will be issued that expires after one year. Need a place to keep your boat? 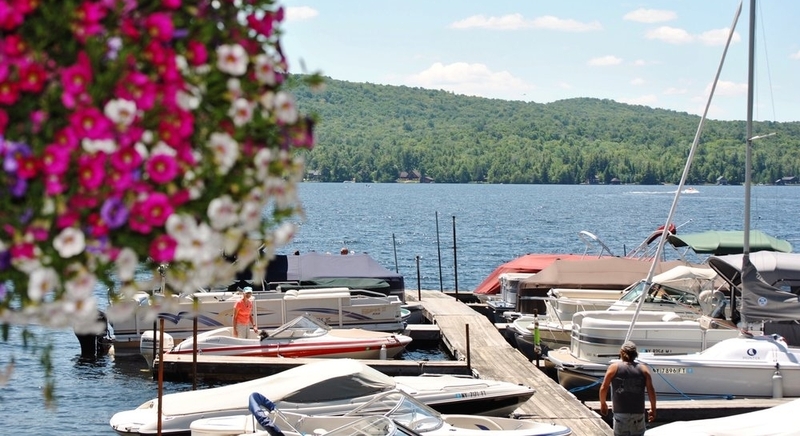 Call in early and ask to rent a slip from one of our docks for the season. Also, when available, we offer daily slip rentals as well. 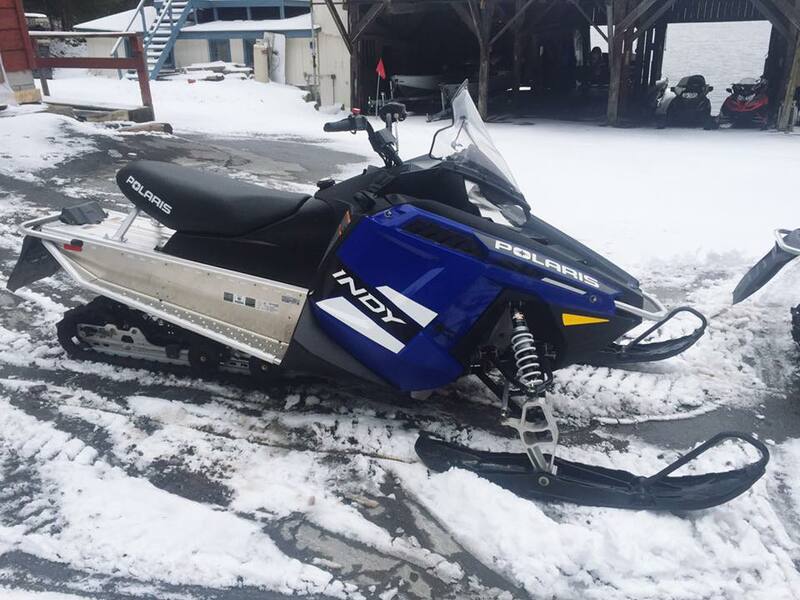 Looking for winter storage? On site at the marina we have full storage facilities to house and care for your boats. We also provide summer storage for snowmobiles. Call for pricing quotes.